When you set out to improve yourself in the physical realm, it’s easy to get pigeonholed or fixated on the hundreds of rules, programs, and philosophies that exist in the fitness world. Be wary of them all. The rules can be great for general guidance or inspiration, but they are no substitute for your own experience. Create your own unique ideal that works for you, even if you’re the first person to do so. In fact, especially if you’re the first. It’s easy to get lost in all the fitness rules and advice out there. But the real question is, what works for you? Powerlifters should be as big as possible, even if much of that size is fat. Women should be lithe and willowy, not big and muscular. Guys should be big and jacked. You should focus on a single sport or activity, and get as good as possible at it. Everyone needs to stretch, lift weights, and eat clean. Competitive sport is for the young. It’s impossible to have great strength, endurance, and mobility at the same time. Those who can’t play, coach. You should eat 5-6 small meals per day. Vegans don’t get enough protein to be great strength athletes. I need a local coach who can work with me in person. None of these rules are inherently bad. For the most part, they reflect the middle of the bell curve, and as such, can serve as convenient “crib notes” for success. The problem arises when we take these conventions too literally and allow them to rigidly define our own behaviors, habits, and choices. Alex Viada performs at a very high level in ultra-endurance events as well as strength sports. Sophie Arvebrink carries a lot of muscle, and makes no apologies for it. Dr. Mike Israetel is passionate and successful in both jiu jitsu and bodybuilding. Dan Green and Layne Norton are super-lean powerlifters. Sohee Lee recently prepped for (and won) a bikini competition while eating a Snickers bar every day. Greg O’Gallagher built a great physique and impressive strength levels while intermittent fasting. 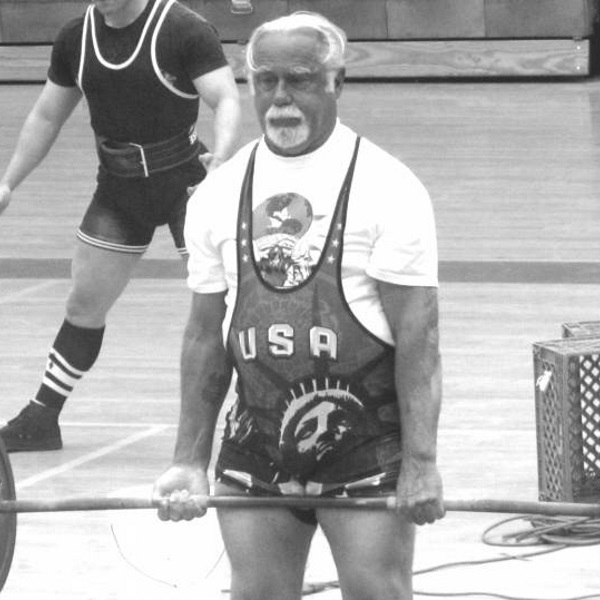 My friend and client Gene Lawrence took up competitive powerlifting in his late 60’s and is now the most decorated masters powerlifter of all time. These days, it’s not uncommon for single and double-amputees to compete in a wide-range of sports. The number of vegan, high-level competitive athletes totally debunks the rule that protein needs to come from an animal. Twenty years ago it would have been unheard of to see athletes compete in both physique sports and powerlifting. Today, there are many who find success in both. I’m sure you can think of other trendsetters and rule-breakers who had the imagination and creativity to challenge the status quo. Tell me about them in the comments section below. Follow their lead. Make fitness work for you, rather than vice versa. One rule that nearly all of us follow, consciously or otherwise, is that the main reason to pursue an activity is to be successful at it. And while “success” is usually a lot more fun than the alternative, consider pursuing an activity based on what you might learn, or how you might improve from it. If you’re a super-tight powerlifter, consider taking a yoga class. Conversely, if you’re an experienced yogi, consider getting under a heavy barbell from time to time. Do these things not because you’ll ever be great at them, but because they might make you better at what you love to do. I hope this discussion opens up some new possibilities for you. If it has, please don’t keep it a secret; I’d love to hear your thoughts below.